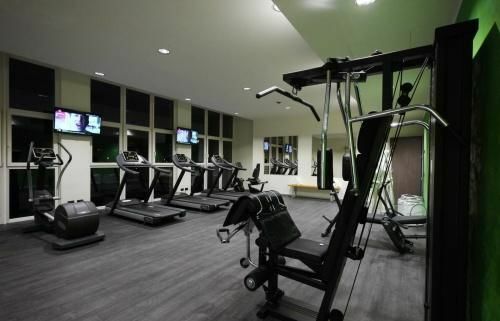 After a busy day, enjoy our wellness centre and fitness room. Our Spa must be booked in advance and has an extra charge. It is equipped with a sauna, a Turkish bath, an emotional shower and a relax room with Himalayan salt. 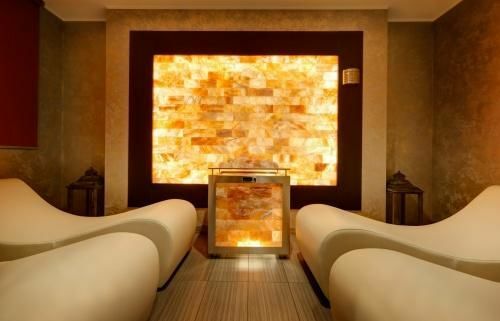 Release the stress of your busy day and enjoy our brand new Spa offering a Turkish bath, a sauna, an emotional shower and a relax room with Himalayan salt. It is open daily from 7.30 am to 10 pm. Keep up with your daily routine in our modern gym featuring high-end equipment including treadmills, bikes and cardio equipment. It is open daily from 6.00 am to 11.00 pm. Access free of charge.